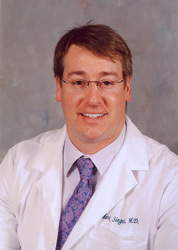 Dr. Siegel is a Board Certified Ophthalmic Surgeon and Medical Director of Sea Island Ophthalmology, LLC. 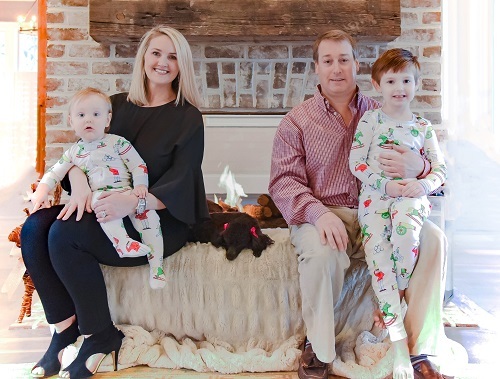 He has been treating patients with ocular disease in the Lowcountry for over fifteen years. Dr. Siegel’s focus is on medical and surgical solutions to eye diseases, such as cataract surgery, glaucoma, diabetes and macular degeneration. His special interest is true microincisional cataract surgery utilizing the smallest incisions and the latest intraocular lens implants for the correction of presbyopia and astigmatism. Dr. Siegel has performed thousands of cataract surgeries and has been instrumental in bringing these new intraocular lens technologies to Beaufort County. In fact, Dr. Siegel ranks in the top ten percent of surgeons implanting premium lenses by volume in the Southeast. He has authored several clinical publications and has spoken internationally as well as focusing on future clinical trials at Sea Island Ophthalmology. After graduating with High Honors from the University of Michigan where he was inducted into the prestigious Phi Beta Kappa Society, Dr. Siegel earned his medical degree from the University of Virginia, where he graduated at the top of his class. He completed his rotating surgery internship at the MERC/MSU program in Grand Rapids, MI. Dr. Siegel then went on to complete his Ophthalmology Residency at the Medical University of South Carolina – Storm Eye Institute. He subsequently completed a Fellowship in Diseases of the Retina and Macula at the Ochsner Clinic Foundation in New Orleans. Dr. Siegel is a Board Certified Ophthalmic Surgeon specializing in cataract and refractive cataract surgery, selective laser trabeculoplasty (SLT) for the treatment of Glaucoma, as well as laser treatment of secondary cataracts, diabetes, and other retinal vascular diseases. He has active privileges at Beaufort Memorial Hospital where he is the Secretary/Treasurer of the Medical Executive Committee. He maintains active privileges at MUSC where he is an adjunct clinical professor of Ophthalmology. He performs surgery at the surgery center of Beaufort and the Bluffton-Okatie Outpatient Surgery Center. His interest in providing patients surgical solutions to render them spectacle-free has positioned him as one of the leading cataract surgeons in Beaufort and the surrounding region.